...to one of the most impressive landscapes ever, located in the middle of central Turkey. The overwhelming variety in shape and form, the artistic and architectural design of houses and cave churches as well as the attractive location of the villages was created by innumerable eruptions of surrounding volcanos and can barely be put in words. 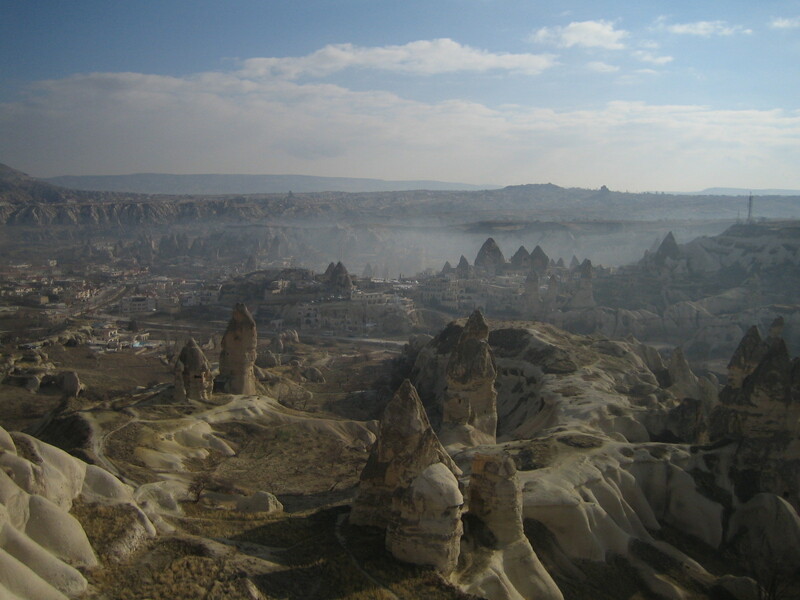 Wind and rain created surreal formations in stone and complex valleys which early Christians used as hermitages and to build hidden monasteries and churches. No one knows their exact number, however, there are hundreds and even years of systematic search later there are still surprises left. You are very welcome to let your fantasy roam on hiking tours and to enter places where for hundreds of years only few people have been. Food etc. is provided, bring solid shoes, long trousers, hat and rucksack as well as a good portion of curiosity and I can guarantee unforgettable, educational experiences in an enchanted world.